Fresh out the ocean after swimming with whale sharks, I changed in the car and went straight to Rico’s, a famous place where they are known for having the best “Lechon” on the island of Cebu. Lechon is roasted pig and is a popular food in the Philippines, Cuba, Puerto Rico, Dominican Republic and in Latin America & Spain. Lechon is a national dish of the Philippines and in fact, Anthony Bourdain claimed Cebu as having the best pig in the world. My friend and I went to Rico’s to try their spicy Lechon. It was phenomenal. I love anything spicy, so this lechon tasted extra delicious. 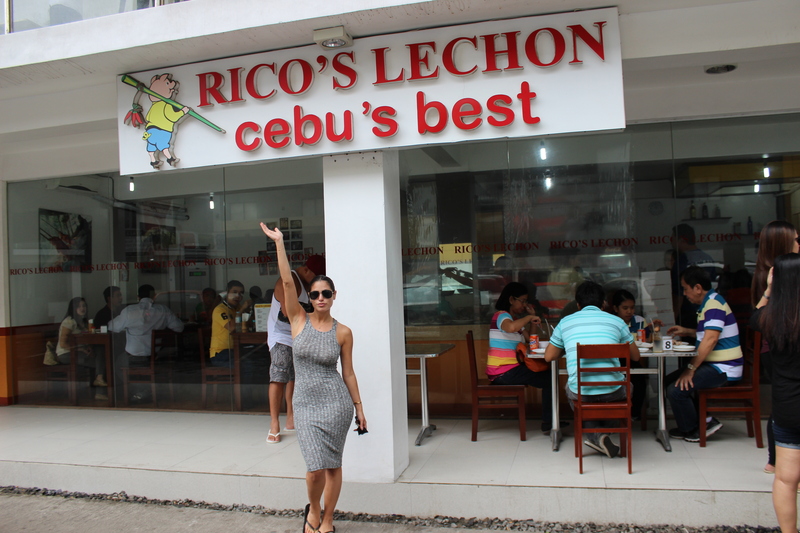 If you are ever in Cebu or anywhere in the Philippines, you have to try Lechon and Rico’s is a very well known place for it. It was a hole in the wall but packed with a line out the door. They were chopping up the pork so quickly, things were messy in there as you can see from my pictures. That’s my favorite kind of food…messy and delicious. It was my favorite meal of the trip!